Versatile yet simple OS mapping for conveyancers. 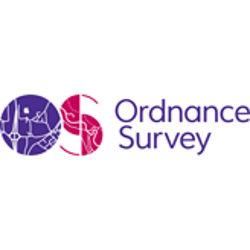 As a partner of both Ordnance Survey and Land Registry we are able to combine the latest OS mapping data with official HMLR freehold boundaries to provide a comprehensive yet simple mapping solution. Now there is no longer any need to upload or draw boundary plans when ordering searches. Provided the property is freehold and registered with Land Registry the freehold boundary that surrounds the property can be recognised and provided for your approval. Our Mapping Boundary Service is free to use, including the new Land Registry auto-boundary feature, when used by conveyancers as part of the search ordering process. The Land Registry have released boundary data on all freehold, registered property in England and Wales. The freehold boundary is automatically detected and shown, saving you time and the hassle of mapping each property. Switch to Site Plan to jump to a 1:25,000 Scale Colour Raster map for large sites and land areas. This level of mapping can be used to quickly outline boundaries of very large sites. This uses the largest scale OS MasterMap Topography Layer from Ordnance Surveys and is the default setting for all cases. This level of detail is ideal in most cases and provides clear and accurate outlines of properties, land and features. Our FREE mapping service delivers the latest OS mapping data with a range of stand out features. Point and click each apex to draw a boundary or use the flood fill tool to auto select. Ability to mark any additional highways for which adoption status is needed. 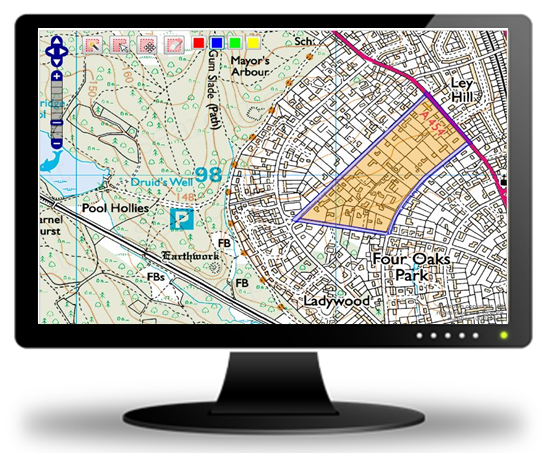 Full screen and adjustable levels enable you to create boundary plans for all sites. The site area is calculated and used to select size dependant ancillary searches.